Do you have a youtube video for this? Thanks you so much for all the picture.It is much clearer for me now.Just a question about the collected water: can you keep it, filter it and consume it as herbal tea or use it to make cosmetic products? Freeze in small blocks? thanks Dan. Hi. Good question. The water contains all the water-soluble gum which in the case of Frankincense, contains sugars, starches ands a bitter principle. It could be kept in the fridge or freezer since it spoils quickly without refrigeration. I have not had much luck working with it. I have evaporated the water and kept the gum, but it oxidized and turned black. You could definitely freeze it in an ice cube tray and defrost as needed. This is likely the best way to preserve it and experiment with it. There is not much, or any information available on uses of the Frankincense gum. With its bitter taste one could assume it might be useful stimulating the appetite, bile or liver. Thank you for your quick reply, so I will see what I can do with this water which I think will be wonderful in cosmeto and I keep you informed of my experiences. Thanks for the photos Dan…they speak a thousand words. Doesn’t this process release the volatile oils into the air and if so, isn’t there a way to capture them so they don’t go to waste. Is the oleoresin the stuff left behind in the still pot when frankincense is distilled? Can’t that be used in the same way? I don’t know how I missed your comment and questions! My apologies. Regarding loss of volatile essential oils during the boiling process, yes, you will lose some. Considering it takes 6-12 hours to fully distil all the essential oil from frankincense in a normal steam or hydrodistillation, my feeling is that the amount of essential oil lost in a half hour boil is not substantial. You are absolutely right that the resin is what is left behind after distilling off the essential oil from Frankincense and is used in the same way. In fact, pharmaceutical companies purchase this post distillation resin from distillers and process it into a marketable product with Boswellic acids. The oleo in “oleoresin” is the essential or volatile oil, the resin is the nonvolatile fraction of the oleo gum resin. Once we distil off the essential oil, we are left with only the nonvolatile portion, which in this case is the pure resin made up mostly of resin acids. The process above offers the same product without needing distillation apparatus. Dan, great site you have put together! I’m assuming if one wanted to make a smaller batch, I could half the amount of tears (50g) and half the amount of water (5L), correct? Absolutely Jeff! I should make that clearer in the instructions. I want to use this Frankincense resin oil instead of essential oil in my lotion. If i am using 20 drops of essential oil in the recipe then how much resin oil of the same should I use instead of the essential oil. This post shows you how to make a solid resin extract. This one, how to make an oil extract-https://fairtradefrankincense.com/2015/08/31/make-a-frankincense-resin-oil-with-boswellic-acids/. If you are working with a pre-made lotion, neither of them will work very well. However if you are making a lotion from scratch, the oil extract or the resin extract dissolved in oil can provide the oil portion of your oil/water emulsion or lotion which makes up 20% to 25% of your emulsion. If you are working with a pre-made lotion you will only be able to add a small amount, perhaps 10% of this oil to your blend before it discombobulates and separates. Did you remove the resin from the water before you let it dry out? Yes, I either scoop the floating resin out of the water before I dry and, (nowadays), pulverize it, or I drain the water and resin through a sieve to separate them. Could this extract be dissolved into an oil and then used to make soap? Would the Boswellic acid etc maintain its efficacy? Hi Marty. I believe the resin extract could be dissolved in oil the processed into soap. You might need to find its saponification value or venture a good guess before you add the lye. The other option is to use the resin extract directly in a resin style soap. In the past pine rosin soaps were more popular but I’m sure you can find recipes online. I have never attempted soap making myself so that’s all the input I can honestly give you at the moment. Thank you so much for taking the time to share all this wonderful information! Personally, I was curious to know if you had any information regarding ingesting frankincense tea or water. (Resin that’s combined with hot water ) What are the therapeutic values vs the contradictions? I’ve recently started drinking it but don’t know how often it is safe to drink? It’s an astringent so I’m not sure what that is doing to the organs/glands long term. Its said to be a healing but theres not a lot of information about it. Supposedly, it’s a popular drink in ancient times but that’s all I know. Any advice? Hi Bianca. The consumption of Frankincense or a tea made of Frankincense is traditional in many cultures. Pregnant Iranian women still consume some Frankincense daily throughout their pregnancy to improve the intelligence of their offspring. In some instances the crushed resin is covered in room temperature water which is consumed and topped up with more water till the water has no flavour. Frankincense is more of an anti-inflammatory than an astringent and so far, there are no contraindications or obvious side effects seen in daily use, though, like everything else in life, moderation is always a good idea. 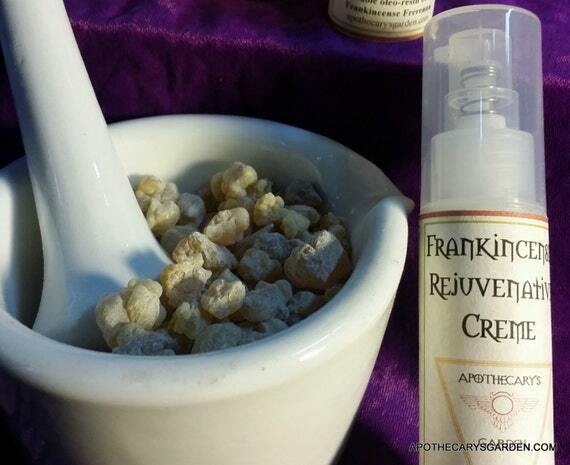 I consume between 1 and 3 teaspoons of fresh Frankincense per day. A tea usually consists of much less than that. The anti-inflammatory properties of Frankincense are of special interest in light of recent theories that many of our chronic diseases are a result of inflammation. If you would like to learn more about the therapeutic effects of a Frankincense infusion or tea, please Google-“Aqueous solution of Boswellia”. You will find a slew of studies and a lot of information on the subject. Thank you so much Dan for your response! I appreciate it. I wanted to ask you is it possible to purchase fake frankincenseon accident? I’m asking because I purchased a small amount of Frankincense and was using it to make tea. I felt really great and I saw some wonderful benefits from drinking it. Once I was running out I purchased another amount however my experience was very different. It actually made me light headed, gave me stomach and chest pain, and my nails started to develop vertical ridges and now look rather dull. My mom, who was not drinking it as often as I was, experienced lightheadedness as well. Also, upon receiving the second batch I noticed it wasn’t as fragrant as the first batch I purchased from the company. I’m not sure if this is noteworthy at all but it’s something I noticed. I contacted the company and they said that they have had the same distributor for over 15 years and that it comes from Oman. It is the Royal Hojary and some of the finest frankincense from that area. The company is called Scents of Frankincense. I am not sure if you are familiar with them. Excellent article!! Thank you. A quick question, can this be done with Myrrh as well? Thanks Richard. I assume the same can be done with Myrrh resin though it will yield a lot less resin extract. They are both oleo gum resins, but Frankincense has about 20% water soluble gum and Myrrh has around 65%. It will take a bit longer to wash out the gum into the boiling water. I have just completed washing the gym out of frankincense. I started with 50 grams of whole frankincense and after only one boiling/washout I was left with 14 grams of resin. Does that sound right to you? I tasted the remaining water, ugh that was bitter! 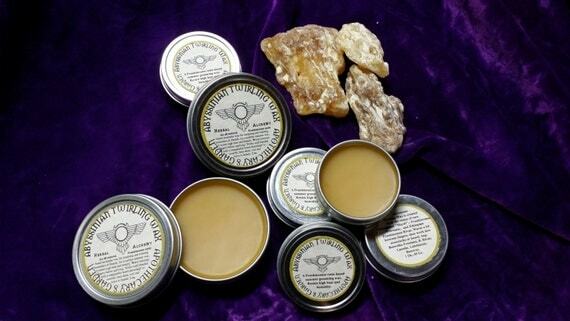 It is possible that was all the resin from your Frankincense since the % does vary from bat h to batch. Sometimes, some of the resin is floating around in the “gummy” water in very time droplets and with a bit more boiling it consolidates itself into larger and more visible clumps. Something to keep in mind for your next resin extraction. Many thanks. I read your blog with interest and great pleasure too. Thank you for your website and information! My resin does not harden once cooled. If my response is not too late and I can still be of help, please send me more information on the process and material you used. perhaps a photo. I’ve done at least 5 attempts now. The first 3 were done where I boiled water with the bowsellia resin beads in the mesh strainer until the boswellia dissolved in the water. (discarded the un-dissolvable residue as best I could as it was very sticky). The first attempt I put the pot (boswellia infused water), in the refrigerator expecting the boswellia to solidify a bit and separate from the water. It had separated somewhat, but remained in liquid form. I then put it on the stove and reduced it which took hours and still it was a water base (the goal is to make an ingredient to add to make a wax/oil balm). The next attempts I used less water so it did not take as long for it to reduce, but the emulsification process is tedious, sensitive and I can only make small batches at a time with a lot of waste. The fourth, I decided to use your other instructions for an oil base. I ground up the boswellia used separate jars containing the oil in one and the boswellia in the other and heated them on the stove and then combined. After a couple of hours heating and stirring on the stove, they still remained separate and the residue seemed to be the same amount as what I had added in the beginning. I filtered out all the residue. The only change I noticed was that the oil was a different color and smelled of boswellia. The fifth I used a crock pot. The results were the same as above. I am still not confident if any of these had any of the healing oleic acids contained within, which is the purpose of why I am doing all of this in the first place. Thank you for sharing your knowledge and all your helpful input and advice!